BOSTON—Apparently blind to the beautiful and sacred gift of life that is handed to him every morning, 58-year-old parking lot attendant Donald Wright is reportedly unaware that each new day is a precious miracle delivered to him by the Lord above, sources confirmed Wednesday. 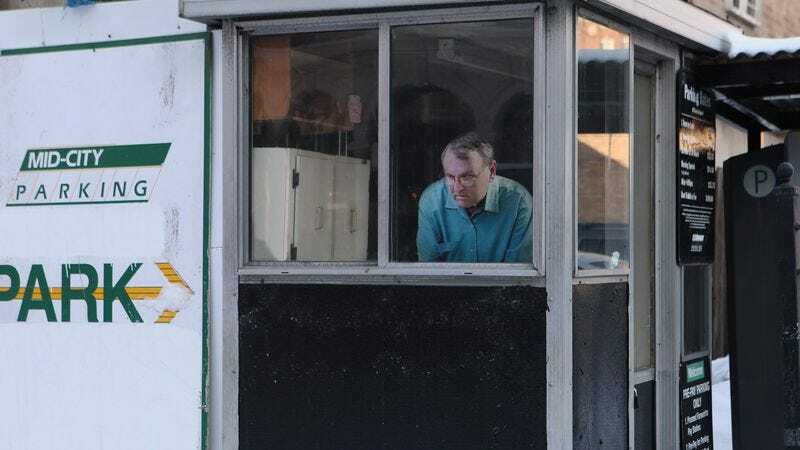 “Does this man not know that to wake up each morning on God’s green earth and go to work is nothing short of a glorious blessing?” local Kim Claremont said of the man who spends eight hours a day in a toll booth waiting for customers to hand over their parking fee. “Why, he’s healthy, he’s got a job, he’s just about the luckiest fella on earth and he can’t even see it! He must not realize that this day is a wondrous joy that should be embraced with a full and happy heart. Why wouldn’t he realize that?” Sources further confirmed the minimum-wage employee should smile more; that might do the trick.